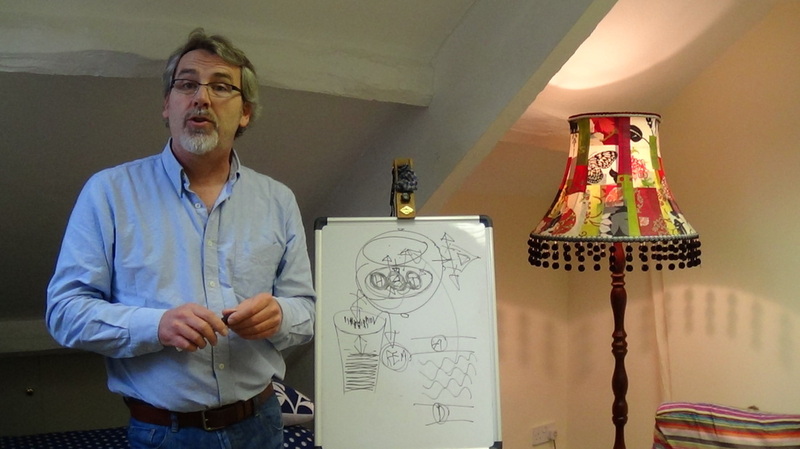 Overcoming Anxiety, Panic Attacks and Stress can be a straightforward and simple process with Graham McDowell via Skype video chat or in Chudleigh, near Exeter, Devon. "The person who wrote the text in green below, was once just like you. To find out how to become just like them, please GET IN TOUCH!" "My name is alice and I am 18 years old, I came to graham with really bad anxiety and OCD that had taken over my life for the past 4 years, I thought that it would be a long process as I had been anxious for so long and began to believe that the anxious voice was really me and that being in social situations and exploring the world would be impossible. I had been offered a job very locally to where I lived and I had known the people for a long time, however before I started my sessions with graham I wasn't ready to get a job at all. After a few sessions with graham I had called the shop and asked if they still wanted someone to work there, two weeks later I had my first day there and really enjoyed it, I went back the next day and was offered a job there every Saturday & Wednesday. I have now started to venture out into social situations that I never thought possible before, I am a much more confident person and after just 8 sessions with graham my life has changed dramatically. I also noticed that the OCD started to get less and less until it had vanished altogether. I would highly recommend anyone suffering with the same problems as I have had to see him. Just truly believe that your life can change and it will." Anxiety is a primitive human emotion that evolution provided us with in order to cope with certain situations. For example, if you were a caveman hunting in a forest you would be grateful that your subconscious was keeping your anxiety levels on 'red alert' so that you could respond to any physical threat that could be hiding behind the next tree! Fast forward to the modern day and we see that we are suffering from these same raised levels of anxiety, but instead of the trigger being a wild animal, it's arguing with a loved one, dealing with the boss or opening the bank statement. We know that these subconscious responses are caused by incorrect programming of the subconscious mind - Mindfulness and Hypnotherapy are considered to be very effective for anxiety and stress helping to greatly reduce general anxiety levels. By ‘resetting’ those areas of the subconscious mind and learning to live more mindfully in the present moment, you can cope with potentially stressful situations in a calm, appropriate and pragmatic way.